A not-so-bold prediction: This year’s Olympic Games will be the most streamed live event in history. I’ll take a bet too that Super Bowl 50 will be the most streamed NFL event ... until the next year’s Super Bowl. In turn, these will be surpassed by the Winter Olympics in 2018 and by matches from the FIFA World Cup later that summer. And so on. The leapfrogging of live streaming records is a trend across all programming, but reaches its peak around major sports events. The value of the game for rightsholders in attracting audiences, subscriptions, or ad dollars holds as true today as it has since Olympic telecasts began with the 1936 Berlin Games. The unique appeal of drama shared in the moment is now driving the live experience online, forcing broadcast rightsholders to adapt. One could argue that online coverage does not yet match the quality of service or communal experience that viewer’s receive on their TV—figures borne out by TV audiences for events which are far in excess of online views. (Super Bowl XLIX racked up a record 1.3 million concurrent streamers for NBC Sports, but 112 million TV viewers.) On the other hand, what was Felix Baumgartner’s October 2012 Red Bull Stratos space jump other than a digital-only global extreme sports experience with 8 million concurrent live streams? The sport itself matters. Super Bowls are single-event primetime U.S. TV viewing. By contrast, an Olympics typically takes place in different time zones, lasts 2 weeks, and includes multiple sports. Both, however, lend themselves to digital viewing in different ways. Perhaps the primary one is that rightsholders and sports franchises are highly conscious of retaining Millennials, a demographic in danger of being priced out of live events, whether in person or on pay TV, and who prefer—at anytime, on any device—access to content that speaks a less studio-formal, more fan-driven language. 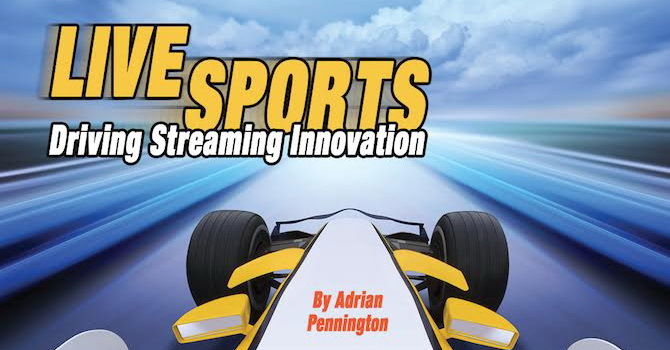 It is no coincidence that the sport showing highest audience growth is professional video gaming. A predominantly online and youth phenomenon, part of the esports appeal is the (largely) free viewing of live events such as “League of Legends” (27 million watched the final online while 25 million tuned into watch the final round of The Masters on TV) and the lack of territorial rights. Fans are as likely to view a game in South Korea from the U.S. as they are in Japan—geoblocking esports would probably stunt further growth. To reach Digital Natives, broadcasters are demanding more value from sports organizations to whom they already pay billions of dollars. The collective value of TV rights for FIFA World Cups in 2018 and 2022 is more than $2.5 billion, of which Fox paid $450 million, five times more than ESPN paid for the previous two tournaments. In the U.K., BT and Sky collectively paid $7.8 billion for Premier League soccer matches from 2016–19, an increase of 70 percent over the last bundle. BT paid an additional $1.3 billion for three seasons of UEFA Champions League football. NBCU paid the IOC $7.75 billion to air a decade of Olympic Games from 2022–2032. To maximize the value of rights, broadcasters and rightsholders must bring something complementary to viewing in the living room (or sports bar) while they protect their main TV revenue. Fresh research from Kantar Worldpanel ComTech reveals the U.K. consumer still choosing their TV offer based on premium sports. In the quarter ending Sept. 30, Sky, BT, and Virgin Media all gained a share in overall market sales thanks to their strong sports offers. Notably, all three also increased the length or strength of their broadband discounts in the last quarter. The tipping point is clear when examining the Olympics. The 2014 Sochi games marked the first time the amount of digital coverage worldwide (60,000 hours on 230 dedicated digital channels, including 155 websites and 75 apps) exceeded that of linear broadcasts (48,000 on 464 channels). 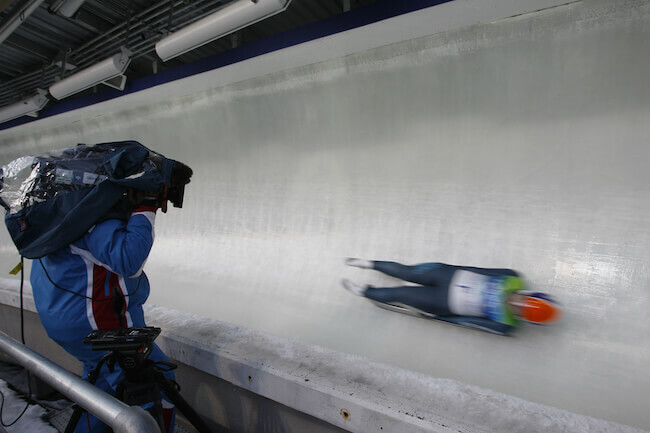 A record 10.8 million hours of video were consumed on NBC Olympics’ digital platforms, more than three times what was streamed for Vancouver 2010. Approximately 80 percent of the video was viewed via TV Everywhere-authenticated live streams on NBCOlympics.com and the NBC Sports Live Extra app. The IOC are billing Rio as the first real multiscreen games, where OBS will provide broadcasters with additional material—such as real-time statistic feeds, different angles, and super slow-motion sets—which can be packaged as a second screen experience. Sports producers have consistently pioneered techniques designed to bring the experience of the game closer to home, whether by graphical analysis, wireless minicams, or live 3D. The current innovation around data, customizable coverage, and wearable cameras is ushering in a fundamental change in the way sport is presented and consumed. 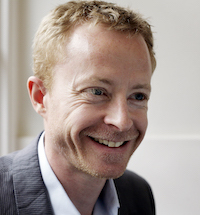 This media strategy is driven by the demand to reach audiences online. The central idea is to exploit more of the content already captured from a live event and make it available over digital channels. For example, a typical UEFA Champions League match would be recorded by 15 cameras, while a final would more than double the camera options. A decade ago, only content produced as the main multilateral “world” feed would be available live, with additional shots—such as replay angles or slow-motion—only available postevent as a highlights reel. Deltatre send “spotters” to every UEFA Champions League match to input match data in real time. This is published alongside the video stream to the online apps of rights holders. Storage was a prohibitive issue. The number of hours produced by FIFA’s media producer HBS has risen over successive tournaments from 2,200 in 2006 to 5,000 in 2014 as the cost of storage has gone down and it’s become easier to manipulate files in fast-turnaround workflows. HBS designs a central storage system based on up to 20 EVS servers into which every feed from every game, plus rushes from ENG crews, is recorded. 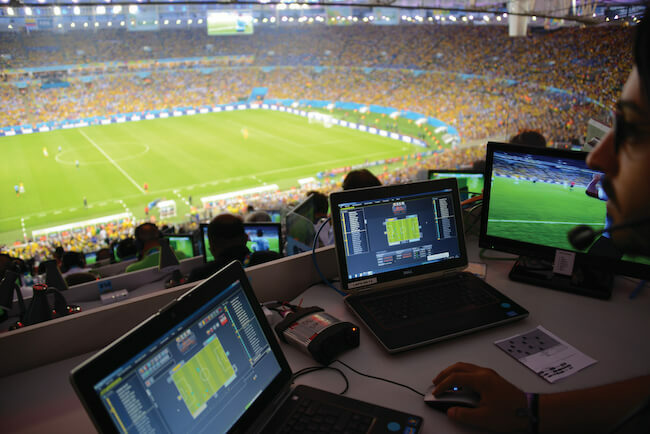 Similar systems are in place at every large sports event for rightsholders to exploit across digital platforms and postproduction broadcast. UEFA has done just that for the 2015–2016 Champions League season, supplementing it with enhanced data feeds, on-air graphics, and infographics service. The intention is to gather more content from the venue and enable broadcasters to offer an enhanced digital experience. UEFA is also experimenting with an embedded audio watermark in the audio track of the world feed, enabling broadcasters to experiment with marketing strategies across second screens. 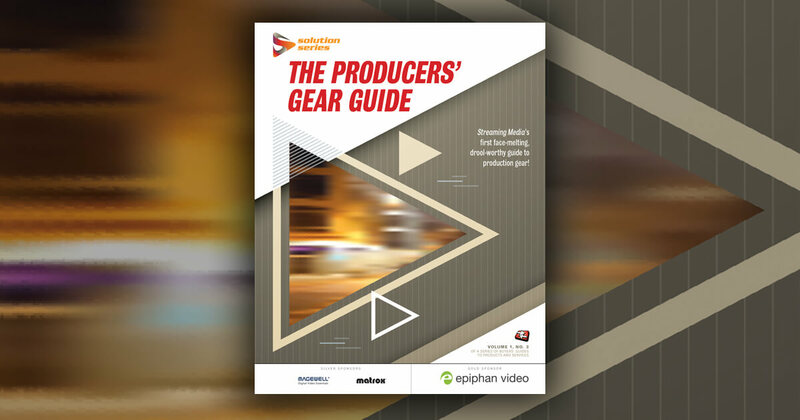 The technology to produce 4K live has moved from workarounds to a fully fleshed-out equipment chain. A significant development has been the introduction by all the major manufacturers of systems cameras carrying two-thirds-inch chips rather than large format single sensors more suited for cinema. The two-thirds-inch cameras allow outside broadcasters to continue to use their existing inventory of zoomable lenses to maintain the characteristic depth of field of sports action. New 4K wireless camcorders for touchline camera work are emerging, although it will take some time before the units are of a size and latency to be useful for minicams. Other missing elements include super slow-motion tools capable of generating 4K resolutions. The issue here is that the frame rate needs to be exceptionally high to offset light loss. It is no coincidence that the first significant 4K live channels are sports channels distributed to the home over broadband. BT Sport was able to beat pay TV rival Sky to a 4K launch in August because its connection to customer homes is capable of download speeds up to 300Mbps, provided customers upgrade their package and add a YouView+ set-top box. To achieve first-mover status, the telco compromised on production by launching with a 3G-SDI (serial digital interface) workflow, a workaround solution using conventional infrastructure. Although branded BT Sport Ultra HD, pedants could say the channel does not meet full fat UHD since it lacks high dynamic range. In North America, Canadian telco Rogers Communications has committed to broadcasting in 4K by the end of 2016. It will connect its cable footprint of 4 million homes to the internet at 1Gbps, branding the service Rogers Ignite and requiring customers to buy a new STB if they want to watch Toronto Blue Jays’ home games in the highest resolution. Rogers is in a perfect position to do this since it owns the Blue Jays and also has a stake (with CTV and Liberty Media) in sports network Sportsnet. Being later to market than BT, it is able to add HDR to the UHD mix. The next big development, and one which is ripping out the fabric of broadcast production worldwide, is the migration from SDI to IP video transport. We discussed this movement in the article “Resistance is Futile” in the November issue (go2sm.com/resistance), but it’s worth highlighting the implications for sports. The first is that IP will slash the cost of sending OB trucks and crew to mix a live directed feed at a venue. NBC Sports and other broadcasters have already made templates for large-scale remote production workflows for the Olympics, NASCAR, and NHL. Doing so, using technologies such as Avid’s online collaborative workspace, is said to have increased production output by more than 30 percent. Around Super Bowl XLIX, NBC crew in Phoenix were able to collaborate on programming with teams in Stamford, Conn., over Avid’s cloud-based MediaCentral. Remote production over IP for onward distribution to sportscasters and team websites or YouTube is set to open up second- and third-tier leagues and sports to coverage. A key reference is Pac-12 Networks’ remote coverage of 850 annual sports events. It uses T-VIPS and Nevion links to transmit talkback and telemetry to and from venues up to 2,500 kilometers away. Doing so saves an estimated $15,000 per game, or $13 million a year. College sports organizations can stream to fans on four connected TV platforms free for one year, and at a low monthly cost after that. When sports fans tune into a broadcast, they usually do so with the biggest screen available, preferring TVs and computers over mobile. Millennials watching eSports, travelers watching their favorite teams on the road, and sports fans who can't get the content they want anywhere else are driving 82% of live online video ad views, and publishers and advertisers are reaping the benefits. In the Streaming Media East 2013 opening day keynote, ESPN explained why online video needs to be better than standard television.